Easily track your fitness activity, manage daily progress and be inspired to move toward better health with the Pulses PS-500, a sleek fitness watch that monitors both activity and heart rate. 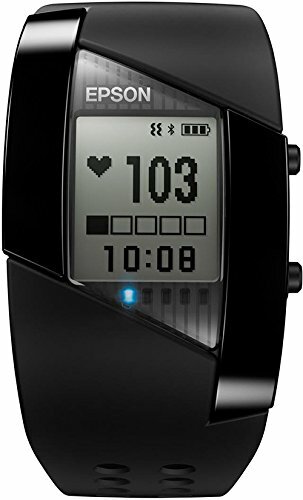 Featuring Epson's leading-edge sensing technology, the sporty PS-500 accurately tracks your heart rate, 24/7. Capture important data, including steps, sleep quality and calories burned. It's perfect for heart rate zone training with real-time data displayed on the LCD. Review stored data and see how far you've come via the easy-to-use Pulses mobile app or web portal. You get personalized information that's sure to empower you to reach your next goal.